For those interested in flagship smartphones that are not typically available in Canada, Canada Computers seems like the place to go. The Huawei Mate 10 and Mate 10 Pro are available at Canada Computers. In addition, Xiaomi’s Mi Mix 2 with its ultra slim bezels, is also being sold at the retail store. The Huawei Mate 10 retails at the price of $799 CAD, the Mate 10 Pro costs $899 and the Mi Mix 2 is available at the price of $649. Xiaomi doesn’t typically sell its devices in Canada, or even North America. Nevertheless, the Mi Mix 2 is a flagship level smartphone and features a 5.99-inch IPS LCD display with a 1080 x 2160 pixel resolution with an 18:9 aspect ratio. Additionally, the phone features Qualcomm’s Snapdragon 835 octa-core processor with 6GB of RAM and 64GB of internal storage. The handset also sports a 12-megapixel rear facing camera with a f/2.0 aperture and a 5-megapixel selfie shooter with a f/2.0 aperture. Lastly, the Xiaomi-brand phone had a 3,400mAh battery and a rear-facing fingerprint sensor. 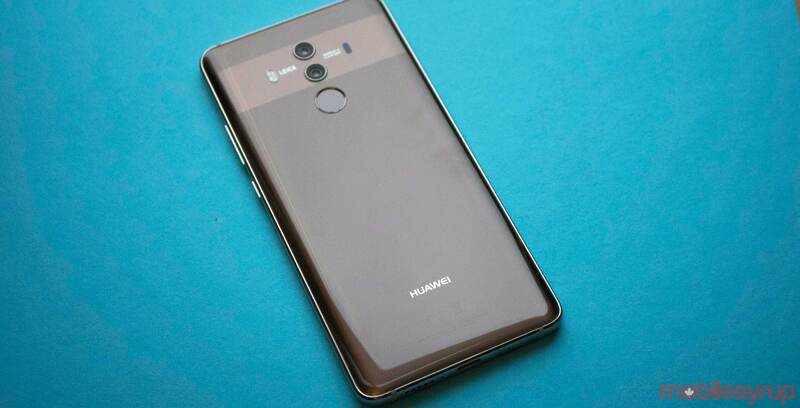 The Huawei Mate 10 is quite different than the Xiaomi Mi Mix 2. It uses a 5.9-inch IPS LCD display with a 1440 x 2560 pixel resolution and a 16:9 aspect ratio. The phone is also HDR10 compliant and features Android 8.0 Oreo. Instead of a Qualcomm processor it uses Huawei’s own in-house Kirin 970 chipset. In addition, the handset sports 64GB of expandable storage and 4GB of RAM. Further, it features a dual-camera setup with a 12-megapixel sensor and a f/1.6 aperture while the other 20-megapixel lens also features a f/1.6 aperture. On the front it uses an 8-megapixel shooter with a f/2.0 aperture. Further it has a 4,000mAh battery and a front facing fingerprint scanner. Lastly the Mate 10 Pro, Huawei’s premium flagship smartphone quite different than the Mate 10. The Mate 10 Pro features a 6-inch AMOLED display with a 1080 x 2160 pixel resolution and an 18:9 aspect ratio. The handset is also HDR10 compliant with the Kirin 970 processor and sports 6GB of RAM and 128GB of storage. The smartphone’s camera setup is quite similar to the Mate 10. Additionally, dual rear camera setup uses a 12-megapixel senor with a f/1.6 aperture and another 20-megapixel lens with a f/1.6 aperture. It also features an 8-megapixel selfie shooter with a f/2.0 aperture. Also, like the Mate 10, the device sports 4,000mAh battery. Similar to these three handsets, HMD Global’s Nokia-branded smartphones are also available at Canada Computers.